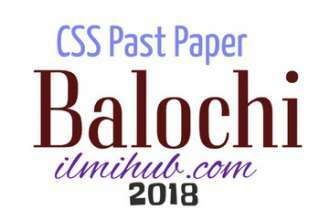 CSS Sindhi Past Paper 2018 is available in this post to check and download. CSS 2018 Sindhi paper was held on CSS 2018 Sindhi Paper 22.02.2018 by FPSC. This paper is taken from Group VII Optional Languages Paper CSS 2018. Visit this for some other Past CSS Papers.